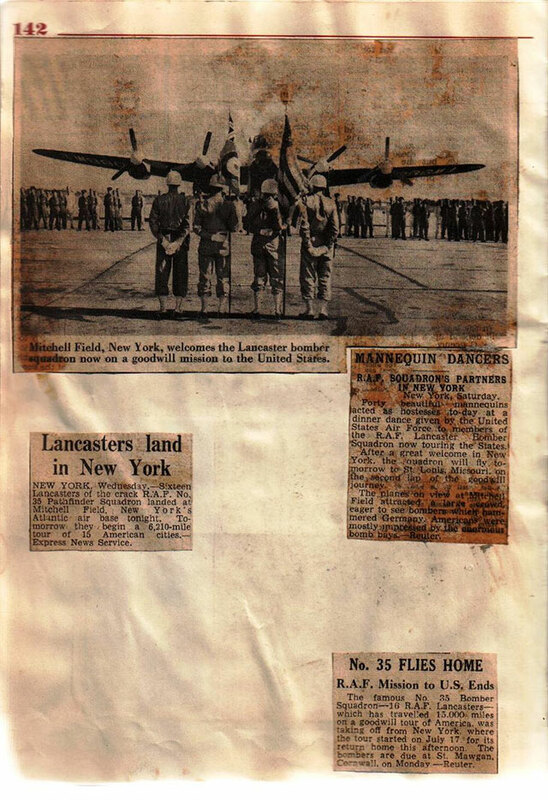 Mitchell Field, New York, welcomes the Lancaster bomber squadron now on a goodwill mission to the United States. Forty beautiful mannequins acted as hostesses today at a dinner dance given by the United States Air Force to members of the RAF Lancaster Bomber Squadron now touring the States. After a great welcome in New York the squadron will fly tomorrow to St Louis, Missouri on the second lap of the goodwill journey. The planes on view at Mitchell Field attracted a large crowd eager to see bombers which hammered Germany. Americans were mostly impressed by the enormous bomb bays. Reuter. New York. Wednesday. Sixteen Lancasters of the crack RAF No.35 Pathfinder Squadron landed at Mitchell Field. New York’s Atlantic air base tonight. Tomorrow they begin a 6,210 mile tour of 15 American cities. Express News Service. The famous No 35 Squadron – 16 RAF Lancasters – which has travelled 15,000 miles on a goodwill tour of America, was taking off from New York, where the tour started on July 17 for its return home this afternoon. 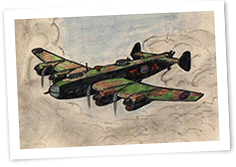 The bombers are due at St Mawgan, Cornwall on Monday. Reuter.